Campus ministers get up every day believing they are going to change the world. They walk into each 1-1, Bible study and meeting on campus, emboldened with a deep sense of mission and a singular focus on the vision God has given them. They are an invaluable resource to God’s kingdom and have my deepest respect. This is why I serve on the national board of a college ministry and why the church I pastor financially supports quite a few of these front line servants. Our church and I believe wholeheartedly in what ministers on college campuses are doing and the difference they are making in the world. However, with most positive traits, there is typically a “less than positive” flip side that needs to be managed. Your laid back friend can struggle with laziness. Your bold friend often lacks tact. Your visionary pioneering campus minister can sometimes believe he or she really can do it alone. Campus minister, you can’t do it alone. The reality is no one can do it alone. We were never intended to do it alone. No matter how strong you are, no matter how connected with God you may be, you were never designed to go through this life alone. Any time I forget this (I was a college minister for 6 years and still have the same independent spirit), I remember Adam. He was in the Garden of Eden, free from sin and in perfect relationship with God, yet God said it was not good that he was alone. Now I know you are familiar with The Wheel diagram and have given a talk on the spoke of fellowship a few times. I know you know it in one sense. I would also ask you to expand your concept of fellowship beyond connecting with young believers on campus or with your staff or other like-minded campus ministers. I would ask you to get deeply connected in church. Campus minister, you need church. It’s good to be in a place where you aren’t in charge and aren’t responsible for teaching, leading, pouring out, etc. People can pour into you spiritually. A good local church will care for you and your family’s souls in a way that an accountability group or staff team just isn’t designed to do. This connection also creates an opportunity for the church to support your ministry. By support, I don’t simply mean financial support, though of course that is a part of it. (I would caution you against seeing your church primarily through this lens. Not because they shouldn’t support you, but because your church should be primarily about caring for you not your ministry). During our college ministry days, we had some great friends in our church who wanted to support our ministry but not by coming on our support team. Instead, they hosted a party for the students in our ministry every year, which was even better. It was financial support, because we didn’t have to expense the party. But it also got them with the students. They got to see the students. They were supporting the ministry by being a part of it. Allow your church into your ministry this way. A member of our church who is in ministry on the campus frequently uses the church’s facilities. My family has had her and her girls over to our home. In addition to all the people in our church who are on her financial support team, our church truly supports her. Campus minister, your students need church. For the years students are a part of your ministry, you are creating an environment strategically designed for their growth. They have incredible mentors, vibrant small groups and are being taught the Word. However, as we all know, life after college happens. The environment that exists in college, doesn’t exist anywhere else. It is an important part of your ministry to prepare students to continue to grow in their walks with God after your time of being there for them comes to an end. For the next 50+ years of their lives, they will need to grow in the context of a local church. You not only need to model that to them, but need to make sure they are connected to a church as well. 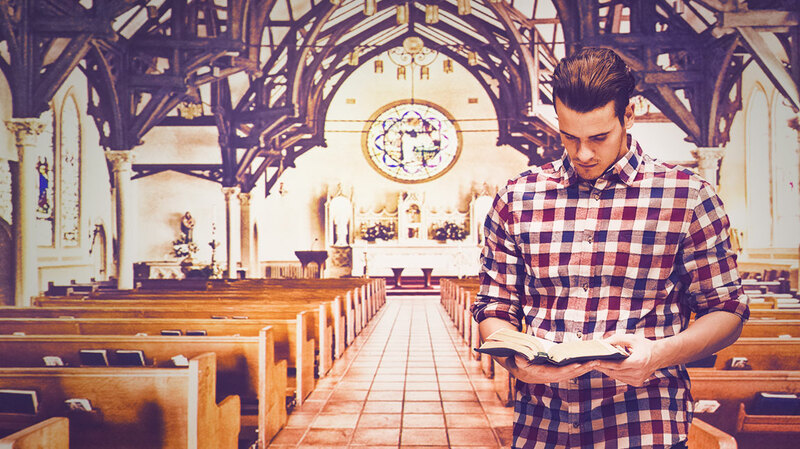 Too often, college ministers get frustrated at the local church for not “getting it”–“it” being the singular focus on discipleship college ministers have. However, it is the differences between the church and your ministry that make the church an essential teammate for your spiritual growth and the health of your students as well. You can’t do it alone. You need church. Your students need church. Take steps to make deep connection in a vibrant local church a part of your ministry and your life.